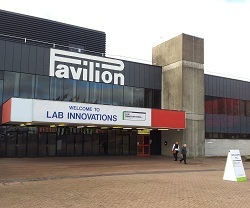 THE LATEST attempt to establish a national-scale exhibition for the laboratory sector in the UK was launched this week, with the Lab Innovations show held at the NEC in Birmingham. This two-day event, held on Wednesday and Thursday, attracted around 64 exhibitors to the Pavilion, one of the smaller halls outside of the main NEC complex. In contrast, the Scientific Laboratory Show held in Nottingham in May 2012 had 57 exhibitors, and that is billed as a regional event. The exhibition held with the European Microscopy Congress in Manchester in September had more exhibitors than those two put together, but as part of a four-year circus of international conferences associated with learned societies, perhaps it shouldn’t be compared to a straightforward exhibition like Lab Innovations. Nevertheless, it does demonstrate that a well-respected event covering only one sector within the laboratory industry can bring in large numbers of exhibitors and visitors alike. The organisers of this latest event have something of a mountain to climb. In the last decade there have been a handful of attempts to launch a new trade fair for the lab sector in the UK, and all have failed – most after just a single outing. To launch in 2012, when marketing budgets may have already been swallowed by the demands of the two giant German shows Analytica and Achema, will not have made life easier. Against a backdrop of continuing economic gloom affecting our industry as well as the national economy, means that the fact the show happened at all is something to be acknowledged. We haven’t seen any visitor figures yet, and these will be studied eagerly by those who were persuaded to take part. Certainly when LabHomepage attended on Wednesday, exhibitors seemed happy with the volume of traffic – but the aisles were never exactly crowded. I hope this venture succeeds, because I’d like to see a good show for our sector in the UK. I have to say that its future does not, so far, seem assured. Genevac has announced a new pdf brochure that describes its miVac range of biological sample concentrators and freeze dryers. A detailed introduction is provided for all current products including the miVac Duo, miVac Quattro and miVac DNA sample concentrators plus the miVac SpeedTrap – a compact system that can be used to freeze dry low volumes of aqueous solutions. 6. Are you taking the pee?